If you’ve ever dreamed of getting married on the warm sand of a sunny beach, or perhaps in a romantic castle in Europe, you are not alone. “Destination weddings are hugely popular, with the top three destinations being Mexico, Cuba and Dominican Republic and a trend moving towards more exotic destinations such as Bora Bora, Italy and France,” says Camille Jocsak, owner of Planned 2 Perfection Limited and Paradise 2 Perfection in Mississauga. Camille has what is arguably one of the best jobs in the world—as a wedding planner, she globe trots with bridal couples. Camille calls herself a wedding broker and she works with clients to make their dream wedding come true. Getting the wedding day vision down on paper is the first step. Camille meets with clients to find out what type of wedding they have in mind and then offers suggestions based on their budget and their chosen destination. 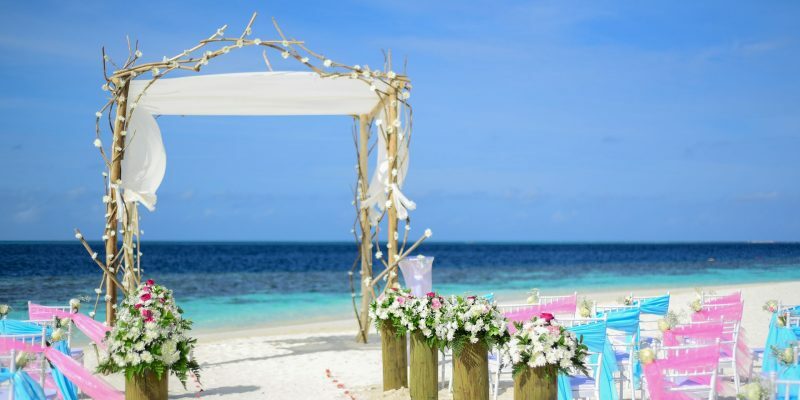 Many resorts and cruise lines offer destination wedding packages, often with perks for the bride and groom hosting, dependent on the number of guests and the package they book. We checked out some other upscale resorts which have truly thought of everything when it comes to destination wedding packages. Cruise ship weddings are hugely popular with several cruise lines offering wedding packages. This is a fun way to join family and friends together for a wedding combined with a holiday. Royal Caribbean Cruise Line offers “Royal Wedding” packages including their Ultimate Love Story Package, which includes the assistance of a wedding planner to help organize the big day, a non-denominational wedding official, a wedding photographer (photos available at an additional charge according to the order), a three-tier wedding cake, a bottle of champagne, and a chocolate-dipped strawberries and Mimosa breakfast served in bed. Although some ships do not have the authority to perform legal ceremonies, cruise passengers can still have a wedding on board with an arranged official, if the ship is docked at a port. 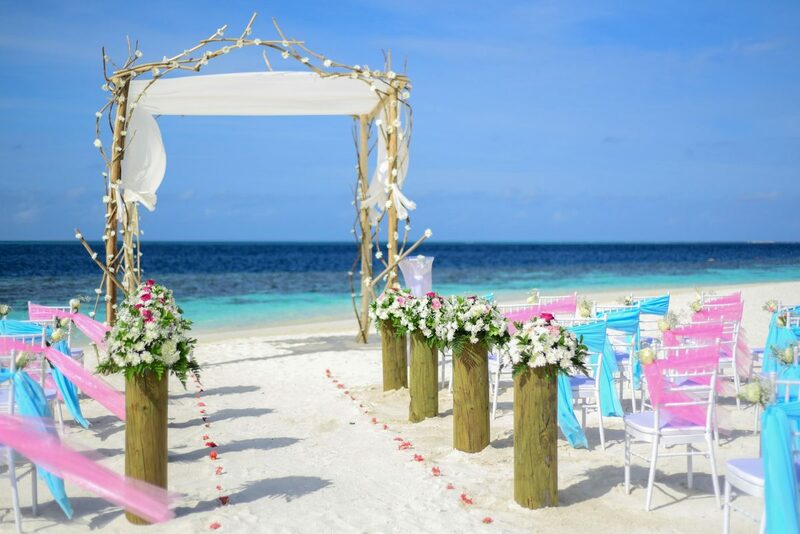 There are as many packages and variables to packages available as there are cruise lines and resorts offering couples plenty of exciting options to make their dream of a destination wedding come true.